Home health Does Lemon Water Helps to lose weight? 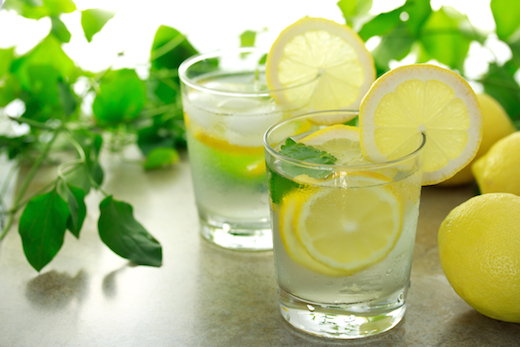 Does Lemon Water Helps to lose weight? It has been studied that even a little lemon can help you lower the absorption of sugars from the food you eat simply because of its high acidic content. You can go one step further and eat some lemon peels along with the juice, this acts like a double whammy on weight gain, because the pectin present in the peels helps in weight loss by becoming a gel forming substance in your stomach which reduces the sugar absorption from the food you eat. A research at Arizona State University indicated that people who stock up on foods that are high in vitamins, such as lemons, oranges, grapes and kiwi fruit, as less likely to gain weight in comparison with people whose intake of Vitamin C is on the low side. It is well proven that lemon juice accentuates the acidity of the digestive system and this helps the body in the absorption of calcium from the foods you eat, and this calcium is then stored up in the fat cells. It has been studied that the more the calcium content in fat cell, the more its ability to burn fat. So this another benefit of lemon juice for weight loss.